There are tons of productivity apps for the iPhone (or the iOS ecosystem generally). The range of diversity that developers have exercised in designing and developing their productivity apps is amazing and breathtaking. When it comes to productivity, to-do lists and timers top the list of all apps that have the potential to cause a rapid shift in productivity. This is why today we’re presenting to you a combination of the two, a 24-hour countdown and to-do list tool that helps its users to live true to their purpose every day, called LiveToday. The app works excellent on iPhone, iPad and Apple Watch and sparkles with intuitiveness and uniqueness. The developers, PAPAFU Limited, wanted to make us to not take time for granted and believe us, they did. 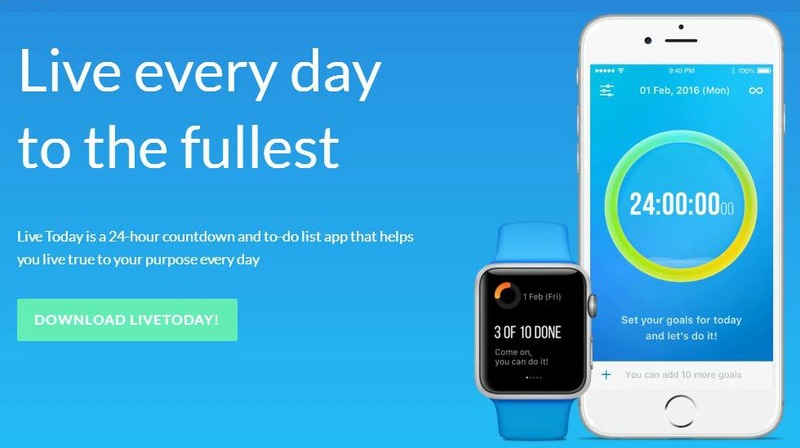 The LiveToday app offers two different features, a 24-hour countdown timer and a simple to-do list. Why are they so different? Because they are designed in a way that can boost productivity and get rid of procrastination! The timer built-in this app is allowing users to see how much time is left today, with a sparkle that quietly burns away as time counts down – it doesn’t show time in its conventional AM/PM format. The to-do list is easy to use and simple, offering you only 30 characters for each goal you enter. Your goals won’t go away until you complete them and you will be notified with reminders to stay on the track of your day. Change the theme and the background, make it look like you want it, live every day to the fullest by downloading LiveToday for free from the App Store!